I thank God for Fi and Ludmila who have come back safely. 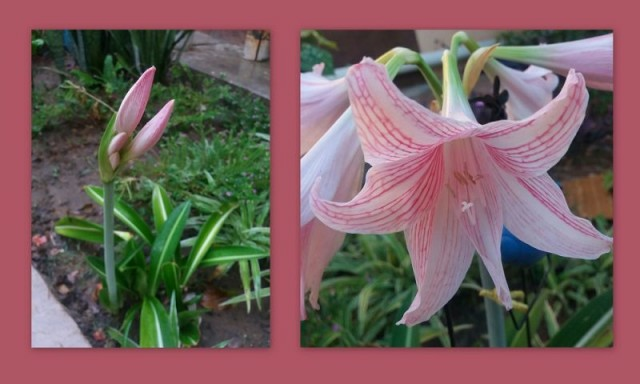 During the last few months there was many things going on. Building as well as looking after the family here. The rains were heavy- roads were blocked, at the same time as delivering things for the building it was hard. Normally the rains finish at the beginning of May, but this year it went up to the end of the month. According to our road it was a big problem to take the children to school. Sometimes I was stopping them to don’t go to school. I missed Fi and Ludmila, but I thank God for my sister Harness who came to help me, and all the Aunties, Uncles and volunteers who were working together and praying together. The builders didn’t give me a hard time, they were humble and helped me so much. They also joined us in our prayer times, and this really blessed us. I saw us like one family. I've been in touch with Ludmila in Czech, she is having a great time over there with her friends. Last week I heard that she was on the radio! I had a lovely 12 day in Cornwall and am now working my way up country. 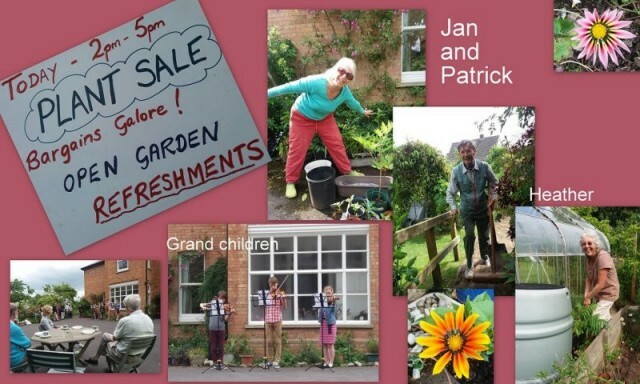 This weekend I am with Jan and Patrick, they have been busy again and had Open Garden for all their neighbours and friends. A good friend of mine came all the way from New Zealand to help too!! The cream cake and coffee was accompanied by the "Grandchildren" on Violin. ...from HOD Community, Ludmila and I had a lovely afternoon with Community members and friends. 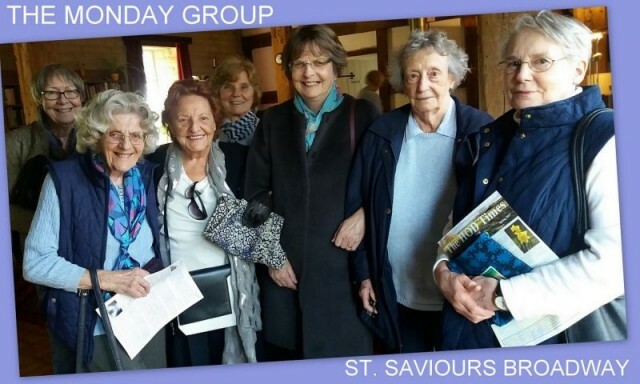 Including a group who have been praying and supporting us for some time- the Monday group. 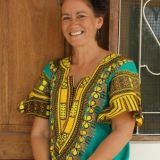 Ludmila also sold some of her Tanzanian tops and bags!! Ludmila and I flew on the first of May and arrived late evening in Heathrow. A great flight, and lovely to travel together! We are staying for a few days at the House of the Open-Door Community the home of both of us before we made home in Tanzania. It is so good to be here, and such a joy to be welcomed Home again here in England. Karibu Nyumbani, some of you may not know means “Welcome Home”. It gives me so much joy that it is not only home for me the other Mamas and the children, but for volunteers and friends who come to visit, some for only 3 weeks and others for 6 months and more. Please pray for Ludmila and me, who will be away for the next 2 months moving-moving!! Ludmila flies to Czech in a few weeks. 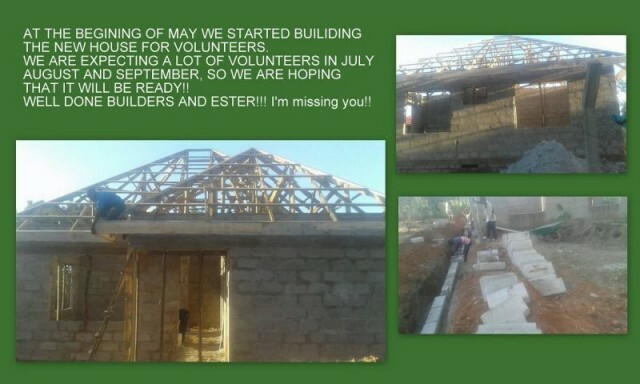 Pray too for Ester who will be heading up the building of a small house for our volunteers and guests!! It will probably be finished before we return!! 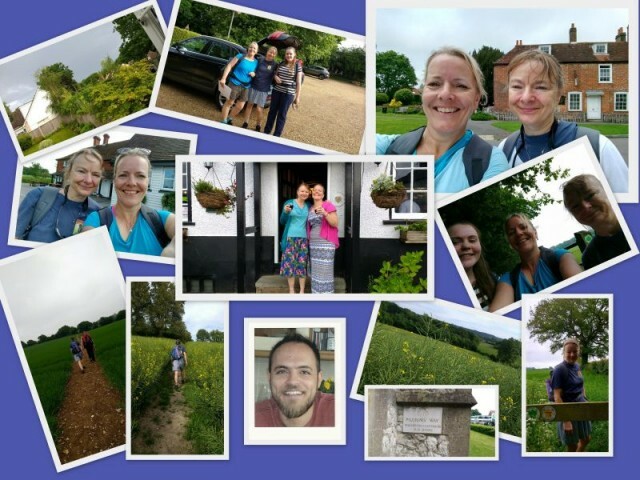 This month enjoy reading Julian’s blog- Our Volunteer from Germany. It has been now seven month since I first stepped into the gates of this orphanage. Didn't know what I can expect and only knowing a little swahili from a two week language course. But these seven months were so amazing and I will never forget them. it seems like I have already lived here for ages and am a part of this family with 17 small siblings. I want to write a little bit about the kids because they grew so close to my heart. It starts with the words kaka (brother) and dada (sister) that are automatically put in front of your name as soon as you get here. That means that I am not Julian anymore but kaka Julian or just kaka. You can't do anything against the feeling of feeling home as soon as you step through the gate of Karibu Nyumbani and hearing that. What surprised me at the beginning was the willingness of the children to work. You would never find this is Germany. The first question you would probably hear by a eight year old kid would be: "Why do I have to clean the stable of the cows? Why don't you ask my brother?" But here it is different. Whenever you ask a kid to help you working there is no matter what time or which work it is, they will help you. I started calling the four big boys "the crew", so every time I call for the crew Onesimo, Patrick, Isaya and Advent are running to me and know there is work to do and we are going to have some fun doing it. Besides working we are of course playing a lot together. The big kids are playing with the small ones and it just feels like they really grew together as a family and you are seeing brothers and sisters having fun together. If then someone is crying, one of the older ones comes to them, give a hug and a kiss and suddenly the world is fine again. Seeing this from the outside makes you just feel happy. There is nothing filling you more with joy then the kids running towards you after the evening prayer and want you to play snap or memory with them or they want you to read a book or tell them a story. I once ask Queenie (nine year old "miss sunshine") to just say the first thing that comes in her mind about Karibu Nyumbani and all she said was: "Nawapenda watoto wote, mama wote, kila auntie na kaka na moyo wangu wote!" It means that she loves all the kids, mamas aunties and kakas with all her heart. 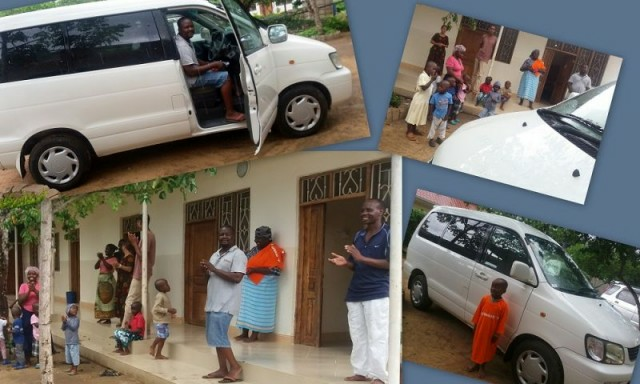 To make it short: all 17 children with all their heart give you the feeling of Karibu Nyumbani (welcome home). This small video I made is about how I see the every day life of the children here in Karibu Nyumbani. The kids really know how to help working and i learned a lot of them. But there is also time for playing and laughing which you can do for hours with them without getting tired. I can't imagine how it is going to be saying "good bye" in three months because it will be like leaving your second family. I am just so glad getting the opportunity to be part of this great family. Every day is a blessing and I am so thankful to the people that welcomed me here. This is the only picture I found with me and some of the kids. “WAIT A LITTLE” FOR RESURRECTION JOY. Helen, our volunteer from England only has a few more days with us! We will miss her gentle, friendly, loving, faithfulness. A few weeks ago, I couldn’t sit by her to translate, so she had to sit through a service not understanding a word. She however was very happy to tell me later that she understood one sentence; - “Subiri Kidogo” which means “Wait a little!”. I however, had heard and understood almost everything but when she said those 2 words, they went straight to my heart. So often we need to “wait a little”- it is part of life. Our Heavenly Father also asks us to “WAIT with TRUST”. We are only a few weeks away from Easter, and we pray that all you are waiting for you can trust to your Heavenly Father to answer as he wills. He is a God who can turn every situation, heals our wounds, raises the dead. He wants us to see HIM in everything and be filled with Resurrection Joy. Thank you all for your prayers too as we “Wait a little” for the promises of our Heavenly Father. BiG THANKS TO British Humane Society!! Cami Toyota has got very tired. The Cami will retire but will probably carry the grass for the cows!! I didn't know what to expect when I first arrived. As my first time really travelling and with being on my own it was all rather daunting. As much as I tried to avoid it, all the images that are conjured up by the stereotypes and misconceptions surrounding the words 'orphanage' and even 'Africa' were rushing through my mind. Yet I am so glad to say that I have never felt more at home and my ill informed misconceptions were exactly that. Even with a big language barrier and being surprisingly incapable of simple household tasks I really feel like I belong in this family. And it truly is a family, a rather large one at that. It is a place overflowing with love and laughter that has completely brought out the inner child in me. It is also truly inspiring to see someone's love-centred vision become a reality for so many and to see first hand the impact that it has. The fact that the vision is constantly expanding and they're tirelessly seeking more for the children, reinforces the selfless nature of the people in this organisation. It's so refreshing and heart warming to see/be a small part of. Being here has given me some invaluable experiences and taught me so much from how to milk a cow, Gertrude's wavy dance moves and even giving me a acute sense of rhythm! 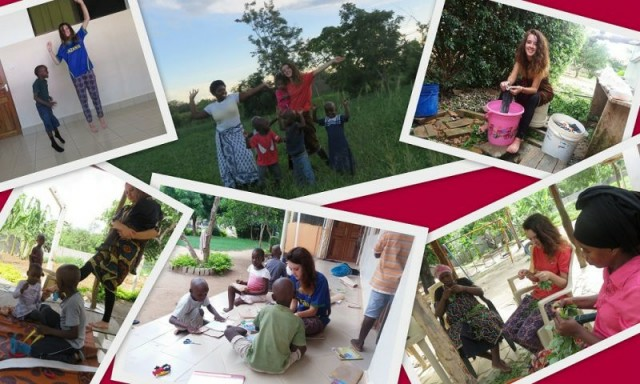 We're still working on washing clothes, basic Swahili and kanga tying but we'll get there! I don't say this lightly but the embrace I've received at Karibu Nyumbani, by the adults and children alike, is one that I will always cherish and I hope that I can bring this warmth and love I have felt to people I encounter in my life. I feel that a part of me will always be here and I hope and pray I have the opportunity to return. I couldn't be more thankful. Some of you will know that some time ago I was on the hunt for a good Solar Water Heater system. I phoned one of the leading companies to come and give us a quote but I felt it was a bit costly. Months passed and at the back of my mind I knew that it would save so much money if we could invest in this equipment. 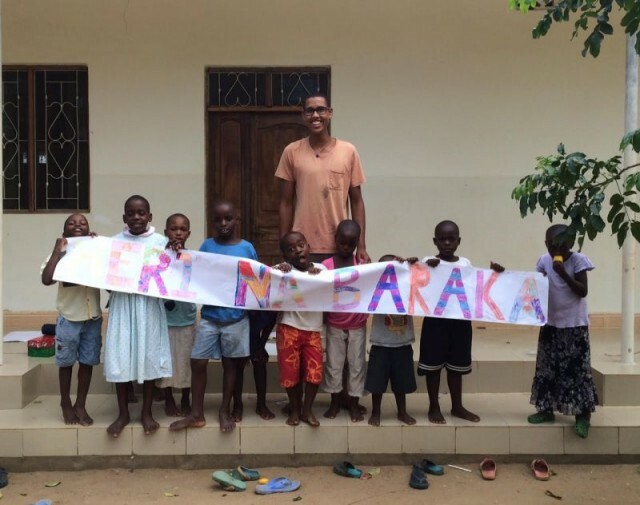 At the beginning of this month I decided to make it my top priority to go on line and phone all the dealers in the Dar es Salaam region who make solar water heaters. 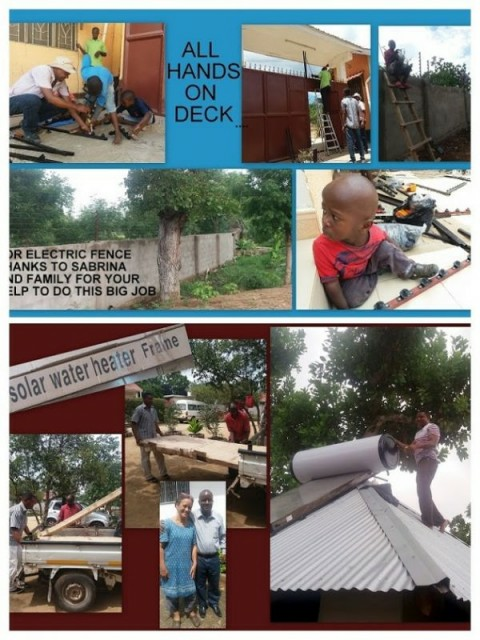 When I introduced myself to a man at “Solar Planet” and told him about the orphanage, he said that he would like to send a tank, solar panel and accessories with a man- today- and he would install it for us. It is so beautiful to see the genericity of God’s people. You may remember too that we were broken into twice recently and we were advised to put up an electric fence. Last week an electric fence was put up surrounding our land protecting our children, animals and property. 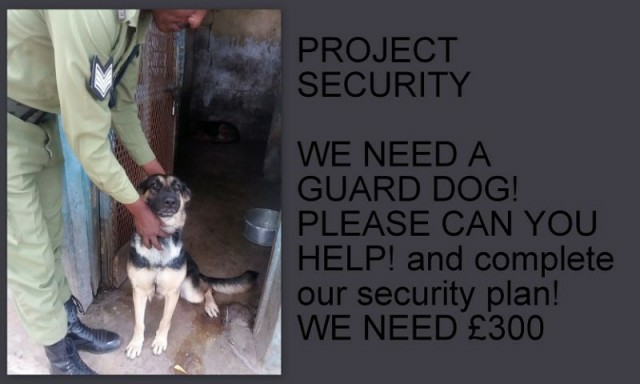 We would like to thank to Sabrina and her family in Italy, we would not have managed to do this without the gift you sent this month, thank you so much. And a BIG THANK YOU to all our friends in England, Czech, New Zealand, Germany and all over the world, who are praying for us regularly, and supporting us. May you find too that the Lord is your shepherd and that you lack nothing! 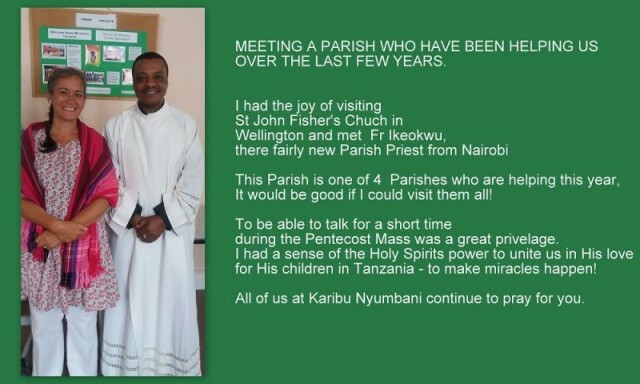 Thanks too to Fr Benno our parish Priest here in Tanzania who this last weekend arranged for us all to go to a Retreat Centre in Dar es Salaam to receive from a prayer fellowship food to help us for the next month. The Lord certainly is our Shepherd! PREPARING THE LAND and praying! You may remember that we bought land at the end of last year for a school. Building a school is a big project and for now we ask if you can join us in prayer. We have 2 acres of land and to register a school we need 3 or 3 1/2 acres!! 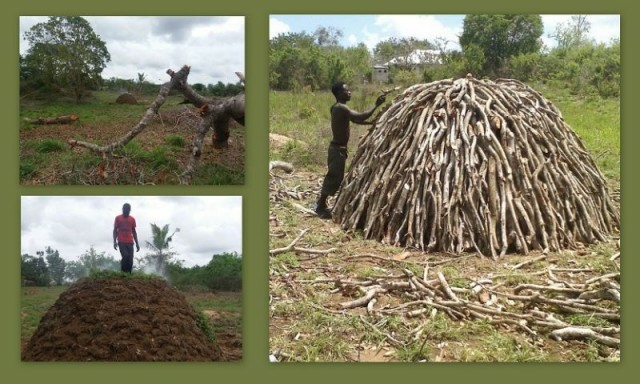 While praying, though, we have started to clear the land. 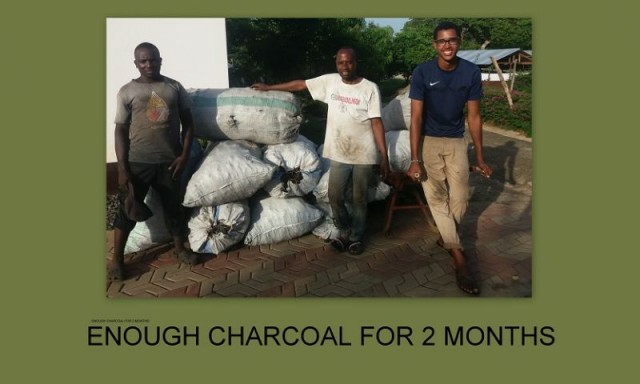 Our men have been cutting trees and learning to making charcoal on our school site. A big thanks to Ludmila this month who organized the selling of double the amount of milk (because of our new cow!) yoghurt, eggs and chicken, so the cost of feeding our animals was completely covered!! 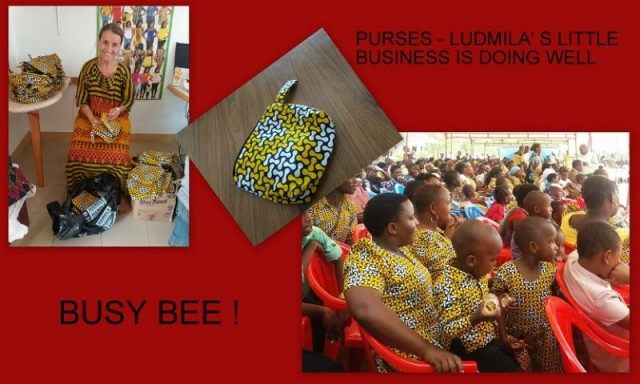 Not only that, but our young ladies in the shop have been busy sewing and have made over 200 purses to sell to our parish ladies, to go with the Parish uniform! Last year we were able to build 2 stores, but either for lack of time or cash we were unable to finish. Ester has been away this month, and it was on our heart to finish this while she was away so that she could get her office. For the last 2 years it was a store. Thanks David and others for making this happen! 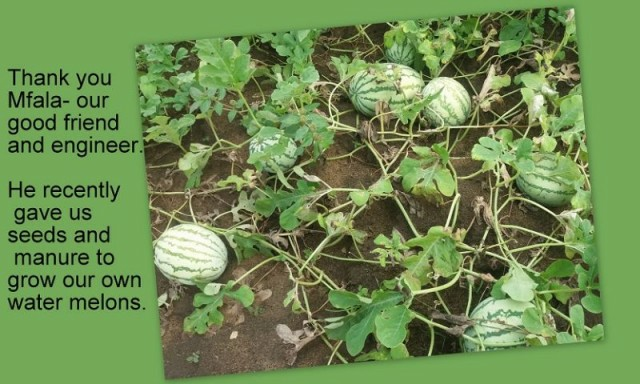 Along with other crops mainly vegetables, we have started to grow Water Melons. Thanks to a good friend. You never moan if it is rains here in Tanzania. In fact right the opposite. It is a sign of blessing. And these last few weeks we have had a lot of rain! 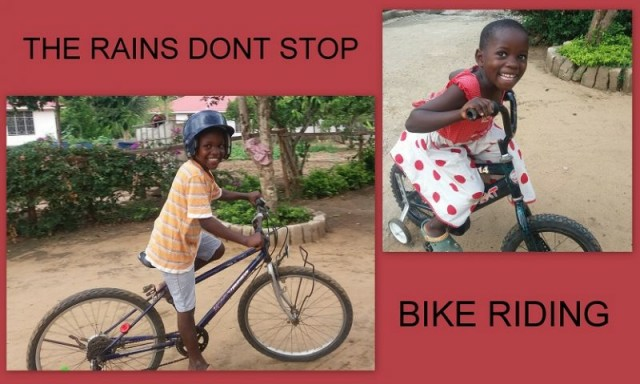 The children use every moment to play and ride before and after the rains! Along with our newly wired Electric Fense, we are going to need a guard dog. It is possible to get a puppy and to have special training so if you would like to help us we would be so grateful.